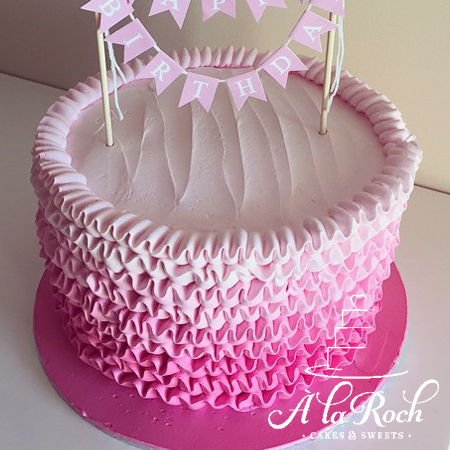 My 6″ Ombré frill cake is frosted with your choice of colour to match your theme. 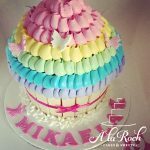 The cake is made up of 4 layers of vanilla buttercake cake decorated with vanilla frosting. Cake height is between 5-6 inches high. My delicious frosting is fluffy and easy to clean up, making it perfect for smash sessions. 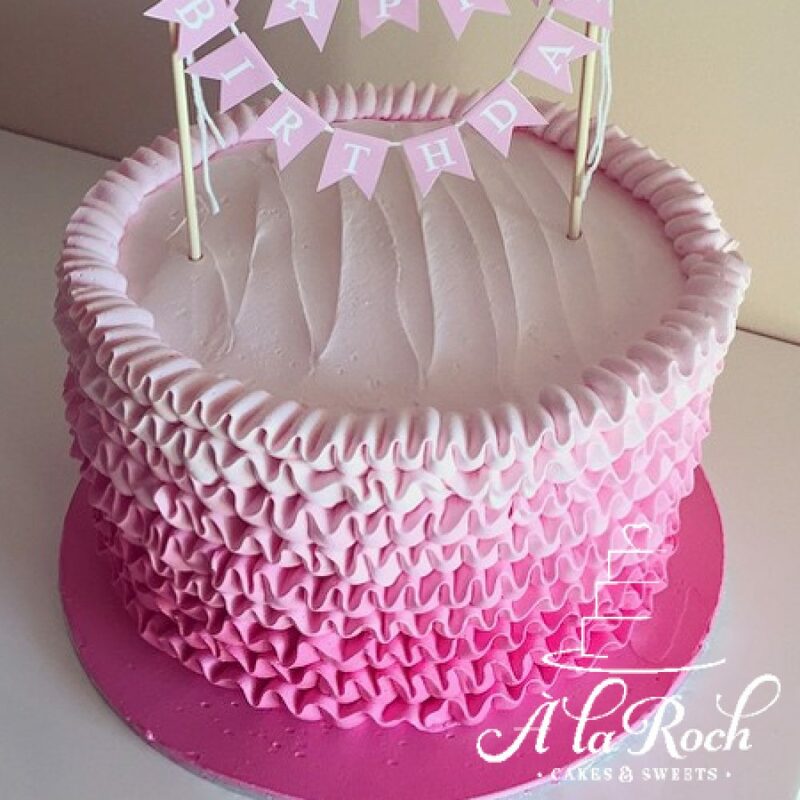 The Ombré frill cake is finished off with paper cake bunting (max 10 characters) to match your theme and can be reused for birthdays. Cakes ordered must be picked up from Belmont North if the photographer you are using is not listed above. Describe any design changes, some changes may incur an additional fee. 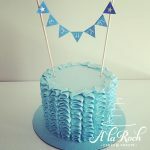 Smash cake sessions are my passion, I love seeing the photos from the wondrous milestone of turning one. This cake contains Egg, Dairy, Soy and Gluten. If you think your child has an allergy please contact me before ordering so we can discuss an allergy free option for you. Rochelle will be in contact with you to confirm your order within 24 hours.